Vilnius Airport was evaluated for its efforts to reduce the environmental impact and received ACI EUROPE’s Level 1 accreditation for the annual carbon dioxide (CO2) emissions and carbon footprint. Independent experts confirmed that these indicators are in line with all the requirements laid down in the Airport Carbon Accreditation (ACA) programme and the established ISO standards. In order to achieve Level 1 accreditation, Vilnius Airport had to determine its operational boundary and the emissions sources as well as to measure the carbon footprint, i.e. to calculate the carbon dioxide falling to one passenger taking into account the travel distance and to determine the airport’s annual carbon dioxide emissions as well as to prepare the emissions reduction policy. “While preparing for the accreditation process we learnt the airport’s exact carbon dioxide emission – it amounted to 3,486 tonnes in 2014. This figure was a starting-point for future operations, as we are planning to compare the data obtained every year and take all possible measures to control and reduce the carbon dioxide emissions to achieve that the environmental impact of Vilnius Airport is as small as possible,” said Artūras Stankevičius, Director of Vilnius Airport. The global carbon accreditation programme has four levels of certification – Level 1 is granted for the carbon dioxide emissions measured by the airport and its evaluation; Level 2 – for carbon dioxide reduction; Level 3 – for its optimisation, Level 4 – for achievement of carbon neutrality. The environmental policy drawn up by Vilnius Airport which is binding to all companies operating in the area of the airport is not only concerned with carbon dioxide emissions but also noise level, use of resources, waste sorting, water, soil and air quality. 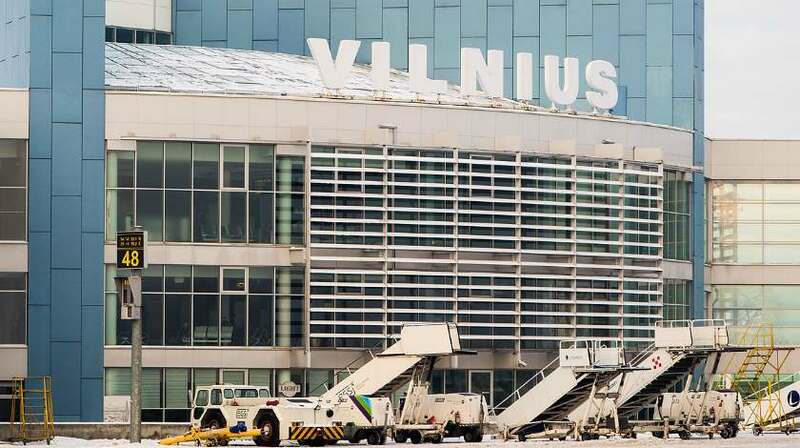 Vilnius Airport belongs to the network of Lithuanian airports, which joins three air gateways in Vilnius, Kaunas and Palanga. During 2015 they handled 4.2 million passengers and 50,000 flights. During the summer season, 19 airlines operate flights to 65 destinations in 54 cities and 26 countries in Europe and beyond it from Lithuanian airports.